The 15th Vietnam Poetry Day will be held at the head office of the Ho Chi Minh City Union of Literature and Arts Associations at No.81 Tran Quoc Thao Street in District 3 on February 11 (the 15th day of the first lunar month). This year’s event with the theme of developing Ho Chi Minh City into modern, civilized and sentimental hub will feature 25 boosts of poetry clubs from universities and districts’ poetry clubs citywide. The poetry day will include various activities such as exchanges between poets, an area presenting young authors’ works, poetry readings, recitations, and art performances. On the same day, the 15th Vietnam Poetry Day will be also kicked off at Van Mieu-Quoc Tu Giam (Temple of Literature) in Hanoi. 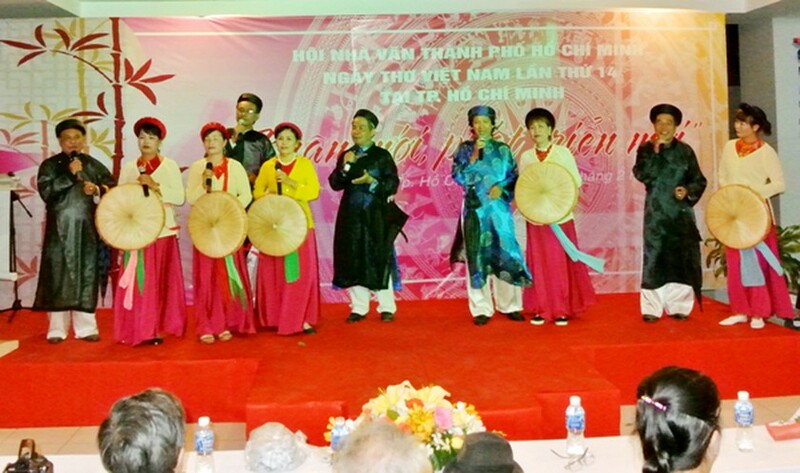 Started on Nguyen Tieu (the 15th day of the first lunar month) in 2003, the Vietnam Poetry Day has become a biggest poetry festival in the country. The festival is an opportunity for Vietnamese poetry lovers to enjoy famous poetry works by well known poets and to promote Vietnam’s beautiful and serene landscapes.